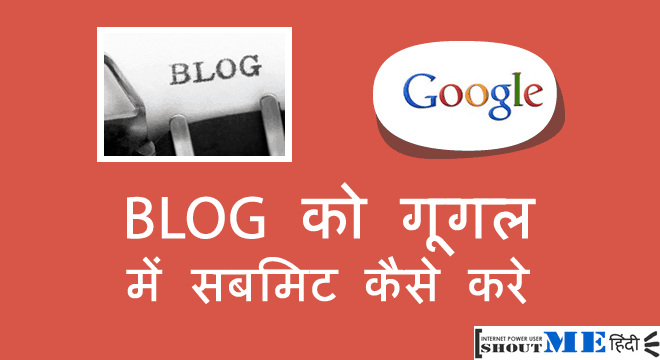 Permalink की SEO में क्या importance है? हर्ष सर हमेशा यही permalink suggest करते हैं क्योंकि यह सबसे ज़्यादा search engine friendly हैं और इस permalink में आपके keywords भी आते हैं और user इसे आसानी से पढ़ सकते हैं. Permalink में से Stop Words को Remove करें। Stop Words जैसे कि “is” or “are”. WordPress यह काम automatic करता हैं और 90% cases में आपको manual redirection की ज़रुरत नहीं होती हैं. ओर कोई Question? Suggestion? Request? Permalinks 66 characters से less हो तो better रहता है ? ?मतलब Website Name + Post Name = 66 characters दोनो क्या ? और अगर Permalinks 66 characters से जायदा हो तो SEO में क्या फ़र्क पड़ेगा ?? hanji website name + remaining url should equal to or less than 66 characters. Search engines mein 66 characters or isse less wale Permalinks better perform krte hain. You may say, it is better for SEO. Shoutmeloud & Shoutmehindi show your great work and effort. Thanks for information . I am regular reader. Thanks for increasing my knowledge regarding blogging. I applied your information in my YouTube Channel. Thanks so much. अपने विषय का चयन अच्छा किया है तथा जानकारी भी सटीक है. परन्तु अनुरोध है कि अपने इस ब्लॉग का नाम ‘shoutmehinglish’ रख दे ! मैं मानता हूँ तकनीकी जानकारी में पूर्णतः हिंदी शब्द का इस्तेमाल असंभव है. परन्तु आपने अधिकांश जगह पर भाषा की खिचड़ी कर रखी है और वो तकनीकी शब्द भी नहीं है. 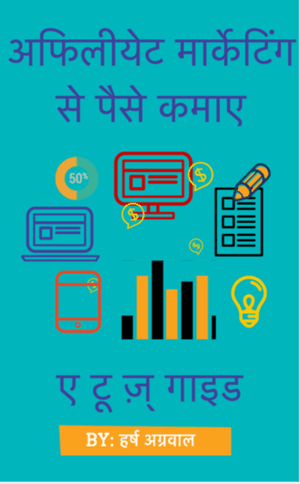 हो सकता है रोमन हिंदी के इस्तेमाल से आप कुछ ‘keywords’ इस्तेमाल करना चाह रहे हों जो तर्कसंगत है, परन्तु भाषा संतुलन भी जरूरी है. यही बात हर्ष के लेखों में भी दिख रही है. एक अच्छा ब्लॉग गूगल के मापदन्डों का ख्याल तो रखता ही है, परन्तु भाषा भी उतनी ही महत्वपूर्ण है. उस लिहाज से मुझे आपके सभी लेख अच्छे होते हुए भी औसत दर्जे के ही लगे. जो लोग आपकी यह उपरोक्त भाषा पढ़ सकते हैं, वह अंग्रेजी भी सहजता से पढ़ लेंगे – तो वह उसी भाषा में इससे जुड़े लेख क्यूँ नहीं पढें जो यहाँ आयेंगे (ऐसा सवाल आप खुद से करें) ? मैं यह भी नहीं कहता कि आप हाथ में हिंदी-ध्वज उठाकर राजभाषा वाली विवाद में कूद पड़ें, परन्तु आपके इस ब्लॉग को हिंदी ब्लॉग कहने पर में अपनी कड़ी आपत्ति जताता हूँ. मेरा यह मत एकमात्र इस लेख के लिए नहीं, अपितु इस पूरे ब्लॉग के लिए है. Right Amit , but really using Hinglish words affects SEO. Yes … it does … But there should be a balance between both. After all, you are writing for readers NOT for search engines. Content comes first. & on the other hand this is not good for readers like us. I am with you . thanks gurmeet singh really helpfull information…and pls tell me that 301 redirect ka actual use kya h blog me. 301 helps to redirect the post permalink to a new permalink permanently. Kya aap mujhe wordpress mein hindi mein url use mein help kar sakte hai? mein apne website mein blog ko upar ke url jaisa shown karna chahta hu. aap permalink hindi main likhe. Jab mein permalink hindi mein likhta hu toh woh like ???????? url ke saath show hota hai. Sir, Aap muje yh bta skte hn ki hindi blog ke backlinks kaise bnaye jate hn. श्री मान जी, आपका ये लेख काफी अच्छा है पर म जानना चाहता हूँ की क्या गूगल न्यूज़ में अपनी वेबसाइट जोड़ने के लिए किसी विशेष पर्मालिंक की जरूरत होती है ? aapko ek three-digit unique ID apne permalink me include karna hai as per google news submission requirement. Simply Try any of the another methods to verify domain name. Mera ek question hai breadcrumb ke bare me. Kya breadcrumb SEO ke hisaab show karane chahiye ya nahi. Mai blogger par hu aur mujhe samaj nahi aa raha hai ki aakhir breadcrumb ka traffic par kis tarah asar hota hai. Even if you are using Breadcrumbs, the search engine knows the URL, so you don’t need to worry in this regard and SEO concerns. Just go ahead with your personal likings. I am regular reader of your blogs here at shotmeloud. I am having a problem with permalink. 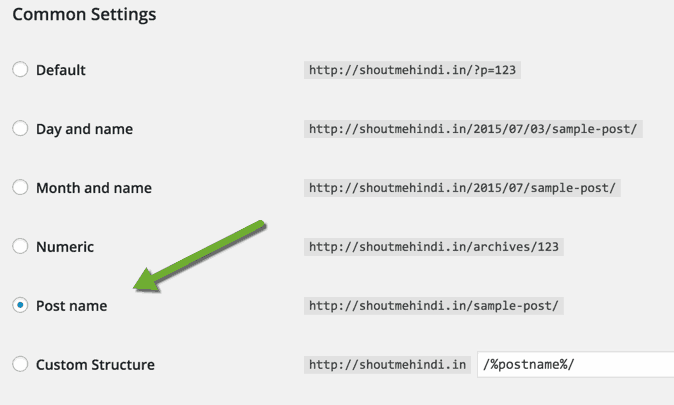 If I try to keep url of blog post name in hindi, it shows very long url including special characters and numbers etc. How I can avoid that or I have to keep URL in english format only. Aap apna permalink edit kar special characters aur numbers hata sakte hain. mai suggest karunga ki aap permalink ko hindi me likhne ki jagah hinglish mai likhe ya phir english me. Can you tell me how to show number of visitors visit my post… in wordpress. Hi, Can Anyone help me with hindi url length problem ? jab main hindi me koi post likhta hu toh title ka pura slug nahi banta hai yeh chhota ho jata hai. Maine bahot dhundha leking iska solution nahi mila. please help anyeone. Post link : http://ghardwar.com/इस-दीवाली-में-रंगीन- रोशनी/ post link pura nahi banta hai. main kya karu ki ye sahi ho jaye. mujhe link aisa chahiye. is problem ka kya solution hai. ?